During a recent visit of Peter Rea from Canada the two Peters (Peter Gill) worked together to set up a proof of concept networking Ikelenge School. 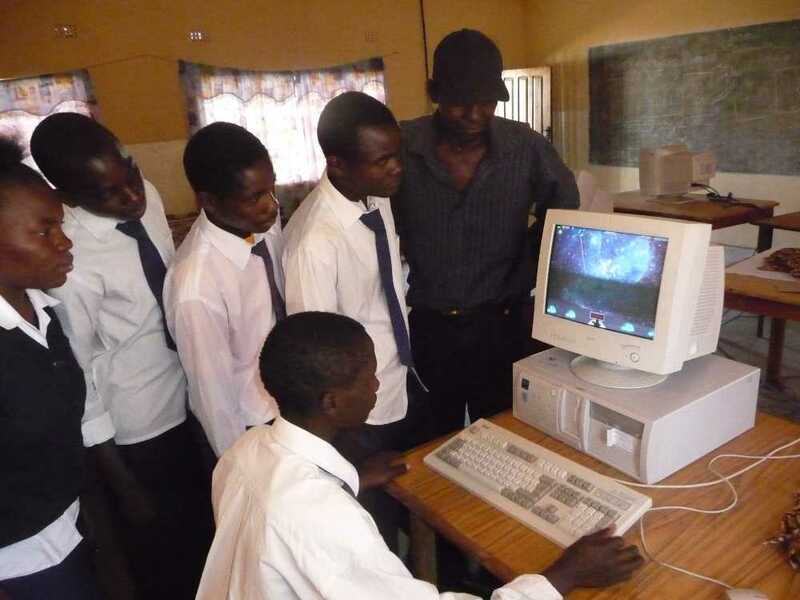 The software was Edubuntu, a variant of Ubuntu (a Linux operating system for PCs) especially designed for schools and educational support. Ikelenge School already had a number of very old computers (Windows 95 and 98 machines) that would no longer work. They would , however, work as “thin clients” – that is as slaves to a more powerful computer (server). As Peter G had a computer that would work as a server (thought not ideal) Peter R set to to get it configured. Went it was working we set off to the school and spent an afternoon with Monica (Peter R’s girlfriend) setting up the network. We then invited some students in to test the setup – they were delighted though it was quite slow due to using less that ideal hardware. Now that we have established proof of concept to the teachers and student we wish to setup a more serviceable system to stimulate the students to do better and to familiarise them with using computers, a necessary skill in today’s world.